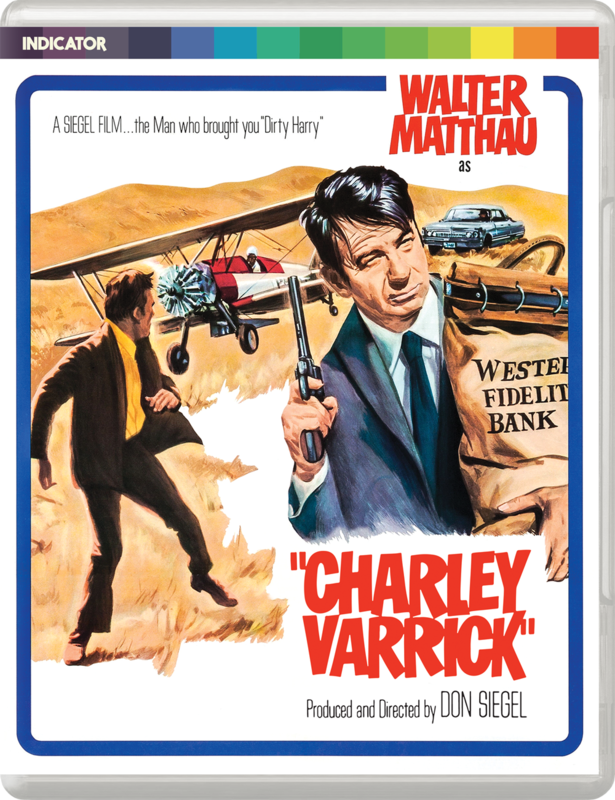 Charley Varrick v(1973) was directed by the great Don Siegel (Invasion of the Body Snatchers), it's an action-packed crime thriller that somehow has managed to elude me for forty years! 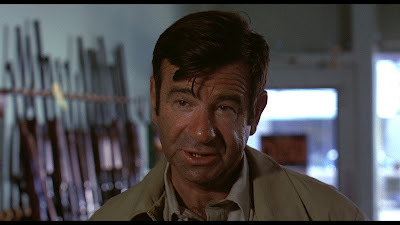 The movie stars the always great Walter Matthau (Grumpy Old Men) as the titular middle-aged bank-robber, a former aerial stuntman turned crop-duster/small time bank robber. The film starts off with Charley and his getaway-car driver wife Nadine (Jacqueline Scott, Empire of the Ants) pulling into the rural bank of sleepytown USA Tres Cruces, New Mexico. Once inside Charley and two men already on the inside pull out the guns and rob the place, in the process the cops are tipped off and one of the two accomplices in the bank are shot dead, the survivor is Harman Sullivan (Andrew Robinson, Dirty Harry), and the trio get in the car and make a run for it. During the escape Nadine is fatally wounded, and the high-speed race out of town involves several metal twisting car-crashes. In the aftermath Nadine dies from her wounds, leaving Charley and Harman to blow her corpse up in the getaway car in an effort to hide the evidence, they make their way back to their trailer park domicile to count the loot and are very surprised when the haul totals up to over three-quarter of a million dollars, way too much money to have been stashed away in a Podunk bank. The somewhat dim and greedy Harman is delighted by the windfall of cash but wiser Varrick is rightfully suspicious of it, believing that they have involved themselves in some dirty mob money, which is later verified when radio reports indicate the crooks got away with less than two grand in cash. 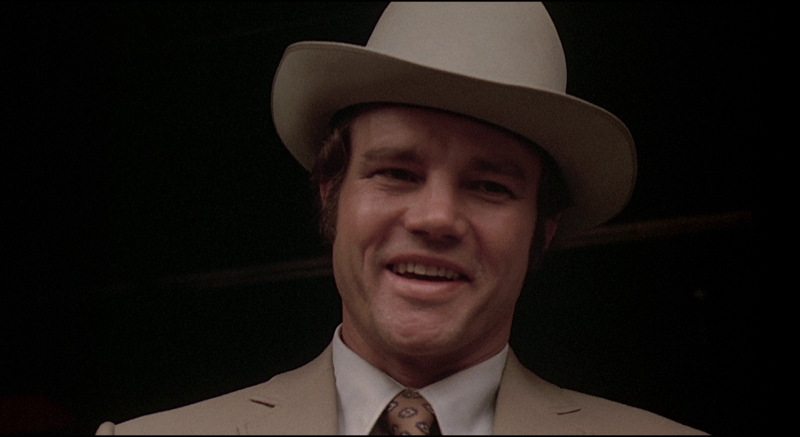 Enter the bank president, the mob-connected Maynard Boyle (80's bad-man John Vernon, Curtains), now that he's on the line for the stolen mob money he calls in mob clean-up guy Molly (Joe Don Baker, Joysticks) to sleuth the identity of the bank robbers and to get that money back where it belongs. Baker is great, he's cool and calm, a practiced torturer and very wily in his own right, charming and prone to violent outbursts, but he's got to contend with the quiet, disarming smarts of Varrick, which we learn will be no easy task. Walter Matthau seemed at first an unlikely candidate for the smooth criminal operator for this 70's crime-thriller, but I warmed up to him right away. 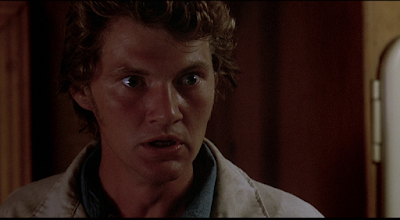 He first appears onscreen made-up to look older, it was a bit off-putting, but he turns out to be a hard-edged character, not a flashy sort of guy, very even tempered and he wears his emotions close to the vest - he's hard to read, after his wife's sudden and unexpected death he doesn't seem to mourn much at all, but he gets it across that he did love her, but then he beds a stranger without much thought soon after. Sure, Varrick's likable, but that's not to say he's a great guy, he does some truly cold and despicable things throughout the movie, such as setting up his fool partner, but he's clever and makes for the perfect sort of 70's anti-hero for this economical and thrilling caper. The cat and mouse game he embarks on with hitman Molly is endlessly entertaining, methodically setting up his exit strategy, all the while the movie never full-on explaining what the end-game is, but there are nods and nudges hinting at the plan, I respect the movie for not just hitting you over the head with it. Audio/Video: Charley Varrick arrives on Blu-ray from the UK's Indicator in a region-B locked Blu-ray presenting the film in 1080p HD framed in 1.85:1 widescreen. The image is very strong, the source looks clean as cab be without any print damage and only some very minor white speckling. Grain is present and looks natural, colors are nicely saturated and look accurate - this looks wonderful. The sole audio optional is a LPCM Mono 1o with optional English subtitles, the track is clean and crisp, well-balanced, the score from Lalo Schifrin is A generic TV crime drama sounding, but it suits the movie, and I guess it isn't too surprising, at the time he was scoring loads of TV stuff. Onto the extras we get a 75-minute making of doc from 2015b produced by Fiction Factory, this features interviews with director Don Siegel’s son, Kristoffer Tabori, Howard A. Rodman, the son of one of the screenwriters, actors Andy Robinson and Jacqueline Scott, stunt driver Craig R. Baxley, and composer Lalo Schifrin. It's a great doc, if you're a fan of the film this one is loaded with great stories about the cast and crew and making of it. Also included are two audio lectures that ca be played like an audio commentary during the movie, the first is with Director Siegel from 1973, the second is with Matthau from 1988. The disc is finished up with a super 8 digest version of the film - I love it when these are included as extras, an image gallery and the theatrical trailer plus a Trailers from Hell trailer commentary from Josh Olson. 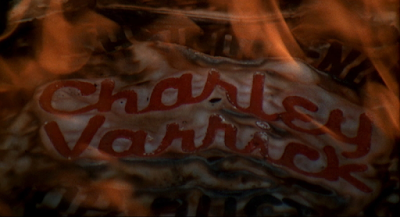 This release also includes a 40-page booklet with a new essay by author and critic Richard Combs, Don Siegel on Charley Varrick, an overview of contemporary critical responses, and film credits - this booklet is limited to the first run of 3000 copies. 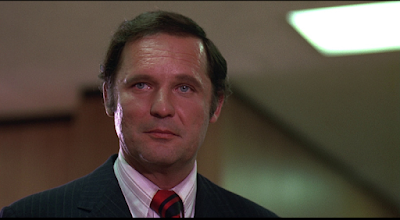 Charley Varrick (1973) is definitely a 'where have you been all my life?' sort of discovery for me, this is an instant top 20 film for me. Indicator give this classic crime thriller a wonderful presentation with some fantastic extras, if you haven't seen it you need to, get on it, this is a sorely under seen gem from the 70's, I have no problem placing it right up there with Chinatown (1974) and Night Moves (1975) - it's that good.